This book is the fourth in the series. It deals with many important matters that have always perplexed the human minds, but that, as is shown in this book, have been clearly explained in the authentic Texts from Allah's Book and His Messenger's Sunnah. 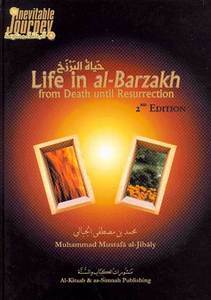 Among the subjects covered are the following: *The Moment of Death *The Soul's Trip to the Heavens*The Final Test*The Righteous and the Sinful in al-Barzakh*Saviors from the Grave's Punishment*Communications with al-Barzakh*Things That Benefit the Dead.